The holidays are nearing and one way to bring cheer at home is by decorating it according to the season. Aside from the ubiquitous Christmas tree and colorful lights, you can also decorate your mirrors for a more lively atmosphere. Here are some beautiful ideas of styling mirrors in any room at home. Whether you have a wall mirror, floor mirror, or even a large mirror, you can add some decorative elements to make your mirror add to the festive atmosphere. 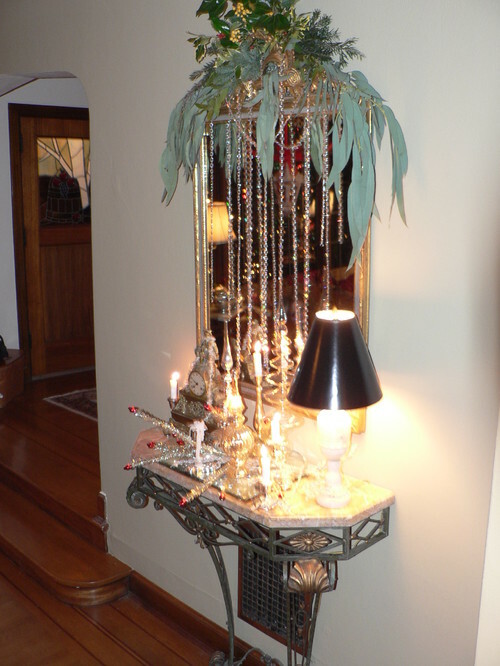 Welcome family members and guests with a lovely mirror decorated in style. Drape chandelier crystals on top of a big mirror. Add some eucalyptus leaves for a green component to make it look fresh and vibrant. 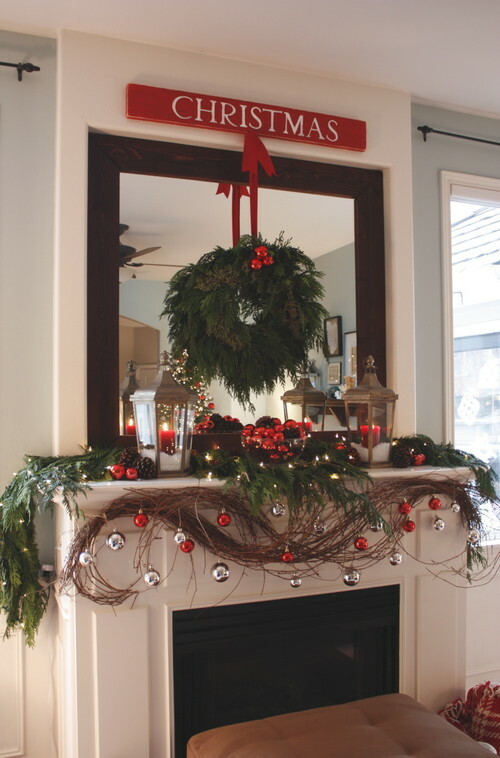 Style the fireplace with the usual Christmas decors like shiny balls in red and silver, a stunning Christmas wreath, and red candles. The undulating twigs provides a hanging area for the Christmas balls and adds a nice contrast to the color scheme used in the design. This idea combines the common colors of the holidays: red, green, and silver. Create a contemporary Christmas look with silver ornaments such as a simple silver wreath and silver balls which match the lamps. 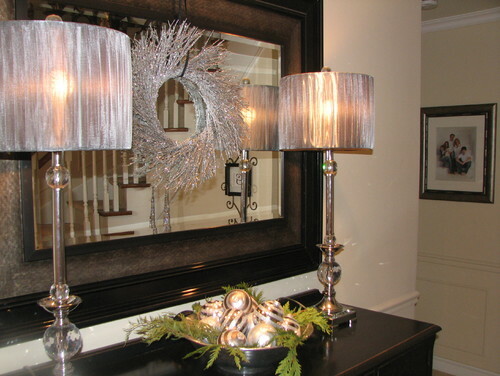 The shiny silver is a good complement for the dark wood used in the mirror’s frame and console table. The style is minimalistic and simple, yet elegant. This is a great design for the entryway. Surround the fireplace and overmantel mirror with greenery for an outdoors feel inside your home. 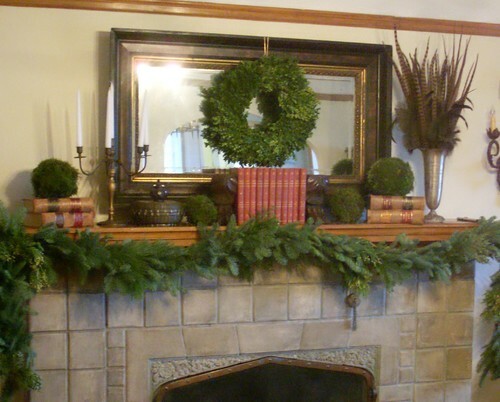 When it’s snowing outside and the weather doesn’t permit you to enjoy the outdoors, you can have something green in your living space by adding wreaths and garlands. The big wreath complements the size of the large rectangular mirror. Paper snowflakes is a nice touch in this decorating idea. 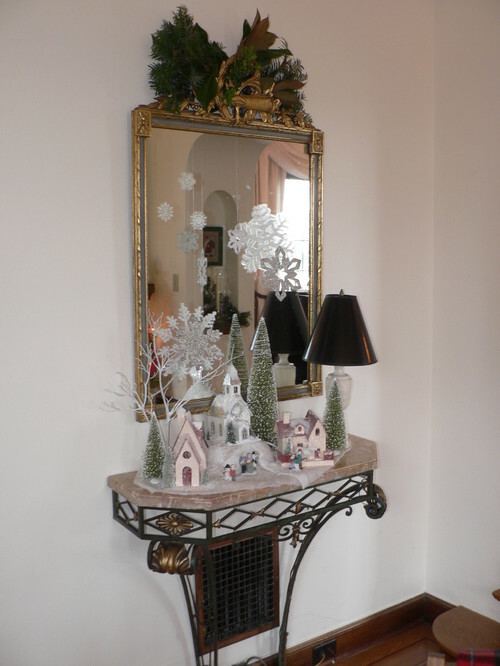 Some leaves on top of the mirror and a Christmas village creates a lovely focal point in this hallway. With just simple ornaments, you can easily decorate your mirror. 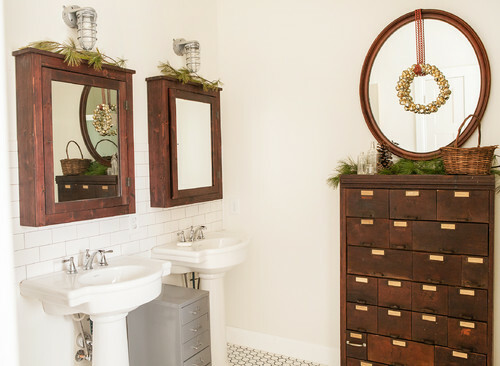 Don’t leave out the bathroom when decorating for the holidays. Adding a few leaves on top of the mirrored cabinets can evoke a sense of the upcoming holidays. MirrorLot manufactures high-quality mirrors for the home, office, and business establishment. We specialize in creating custom-sized and custom-made mirrors. Our company has been producing large-sized mirrors perfect for your living room, dining room, or bathroom. 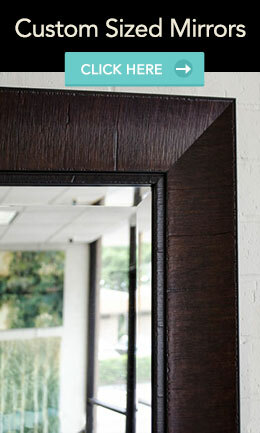 Browse through our extensive selection of beautiful frames at our website: www.mirrorlot.com.